Kiran Phatak is one of Australia's most versatile and accomplished young flautists. Winner of the Australian International Flute Competition in 2013, Kiran was also a finalist and prize-winner in the 2014–15 ABC Symphony Australia Young Performer of the Year Awards. He has performed as a concerto soloist with orchestras around the country, and as a chamber musician at many major international arts festivals, including the Melbourne, Adelaide, and Four Winds Festivals, the Coriole and Huntington Estate Music Festivals, and the Perth International Arts Festival. Kiran is also a prolific orchestral musician, performing regularly with Australasia's major symphony orchestras, both on stage and in the pit. In 2017 Kiran completed a contract as Principal Piccolo with Orchestra Victoria—he has also played flute and piccolo with the Melbourne, Tasmanian, West Australian and New Zealand Symphony Orchestras. Kiran is a founding member of Arcadia Winds, a group that has lead the way for Australian wind music as Musica Viva's inaugural FutureMakers ensemble. 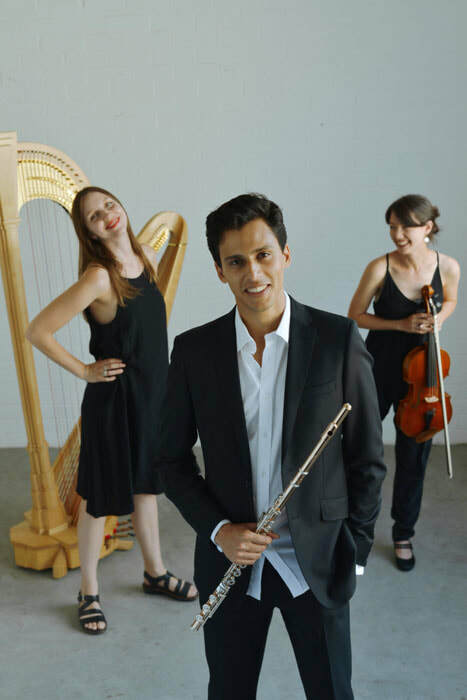 In the last two years alone, Kiran and Arcadia Winds have collaborated with the world's finest musicians including the Australian String Quartet, Lambert Orkis, Ole Kristian Dahl, and Thorsten Johanns; commissioned and performed more than a dozen new Australian works; and embarked on the development of a groundbreaking online resource for the distribution of Australian music. A passionate pedagogue, Kiran has taught across all levels of music education: from curating weeks of wind music at the Queensland Conservatorium of Music and the Australian National Academy of Music with Arcadia Winds; to tutoring the Australian Youth Orchestra's Young Symphonists program; to developing a show with Arcadia Winds and Musica Viva that will be seen by up to 15,000 schoolchildren per year from 2017–19.